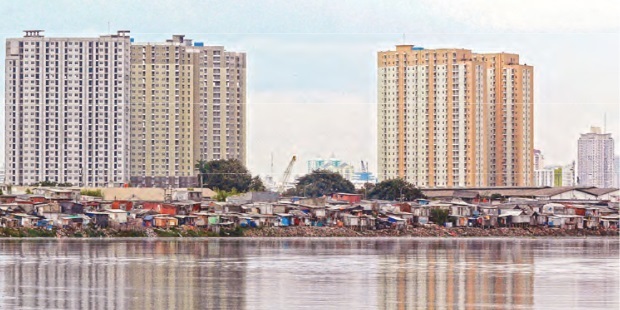 The World Bank released the latest edition of its flagship publication Indonesia Economic Quarterly on Tuesday (27/03). The March 2018 edition of the report is entitled "Towards Inclusive Growth". In the report the World Bank is positive about Indonesia's economic outlook after seeing the nation's real gross domestic product (GDP) growth picking up at 5.2 percent year-on-year (y/y) in the fourth quarter of 2017 (accelerating from 5.1 percent y/y in the previous quarter). Also with regard to full-year 2017, Indonesia experienced accelerating economic growth with GDP expanding by 5.1 percent (y/y) - from 5.0 percent (y/y) in 2016 - thus touching its highest growth rate in four years. The improving economy last year came on the back of stronger investment and net exports, lifted by strengthening global trade and the continued recovery in commodity prices. Meanwhile, rising public investment also supported the nation's macroeconomic growth, with total government spending growing the fastest in three years. For 2018 the World Bank is optimistic that Indonesia's economic growth will accelerate more markedly in 2018 with an estimated real GDP growth of 5.3 percent (y/y). However, if global trade slows while domestic private consumption growth remains subdued, then Indonesia may not see GDP growth at that level. Rodrigo Chaves, World Bank Country Director for Indonesia and Timor-Leste, said "sound macroeconomic policies have contributed to investment growth reaching a five-year high but to meaningfully accelerate investments outside the mining sector, Indonesia needs to consider putting together a bold and impactful mixture of policies that will open the economy." The March 2018 edition of the World Bank's Indonesia Economic Quarterly has a special focus on inclusive growth. It states that Indonesia's fiscal policies should play a larger role in terms of encouraging sustainable and inclusive growth. Indonesia can reduce inequality by increasing the level and efficiency of expenditures that benefit the bottom 60 percent of Indonesian families. The World Bank advises the Indonesian government to focus on collecting more revenue and spend better for inclusive growth, especially on education, health, infrastructure and social assistance.